Research within the Department of Earth Sciences focuses on the physical, chemical, and biological evolution of our planet. Our proximity to the Cascade volcanoes and the tectonic complexity of the western North American margin motivate numerous individual and collaborative studies, many of which benefit from on-site access to cutting-edge analytical, experimental, and computational facilities. Many of our projects are funded by the National Science Foundation, NASA, and the US Geological Survey. Visit the Faculty Research Highlight page for reviews of current investigations being led by members our department. The research emphasis within the department can be divided into four broadly defined groups that are described in detail below. Our department encourages interdisciplinary interactions; and thus, many of our faculty member’s interests span more than one discipline. Please visit each faculty member’s website to read more about their individual interests and specializations. 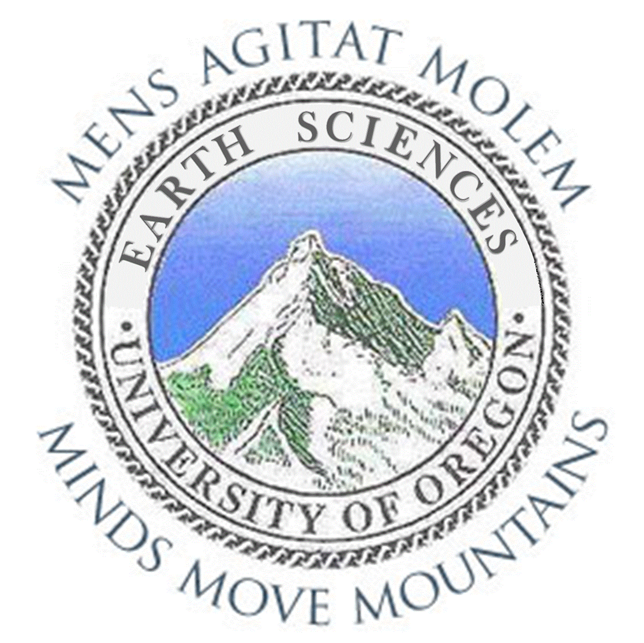 The Department has long enjoyed an international reputation for strength in studies of high-temperature geological processes, dating to at least 1965 when the original Center for Volcanology was established by emeritus faculty AR McBirney, DW Weill and GG Goles. The 60’s, 70’s and 80’s saw many landmark studies published by department faculty and graduate students on a variety of topics including characterization of the lunar samples returned by the Apollo missions; experimental studies of lava rheology, phase equilibria, and trace element partitioning; and field and analytical investigations of layered mafic intrusions, oceanic archipelagos, subduction-related volcanoes, ore deposits, and metamorphic terranes. Our current faculty continue the tradition of petrological and volcanological research while also expanding into the realms of geochemistry and geobiology. While our interests are diverse, we share a focus on active volcanic, magmatic, hydrothermal, and geomicrobial systems and fine-scale, process-oriented investigations. The geophysics group performs research on problems that span a multitude of spatial and temporal scales. Research is focused on problems in solid earth geophysics including mantle upwelling, convection, lithospheric structure, regional tectonics, earthquake mechanics, crustal deformation, ice physics, and geomechanics. Our faculty specialize in a number of techniques including seismology, analytic and numerical modeling, data analysis, inverse methods, and space geodesy. Research in these disciplines is aimed at understanding complex interactions among tectonic and climatic processes that drive landscape evolution, earthquake histories, basin filling, and deformation of the crust. We investigate these processes through detailed field studies combined with related tools such as geochronology, numerical modeling, isotope geochemistry, and GIS-based geospatial data analysis. Studies of surface processes examine how tectonics and climate affect the evolution of landscapes. Fieldwork, numerical simulation, topographic analysis, and experimental study of rivers, landslides, soils, glaciers, rainfall, and fire are used to study the movement of water and sediment over a range of spatial and temporal scales. Structural geology and neotectonics focus on application of modern field and analytical techniques to solving problems in Cenozoic tectonics and active faulting. Recent studies examine deformation in the Basin and Range province and coastal region of Oregon, active tectonics of the San Andreas Fault system, Cenozoic extension in Death Valley, and seismic risk along the Pacific margin of the U.S. and in central Asia. Studies of sedimentary basins investigate the dynamic interactions among crustal subsidence, sediment transport, changing depositional environments, and active faulting and folding that govern these processes. Projects are focused on Neogene basins in southern California and northwestern Mexico, and Mesozoic tectonics of eastern Oregon. The University of Oregon has a long tradition of research on fossils and the evolution of life dating back to Thomas Condon, foundation professor of Sciences in the original 1876 faculty of six. Fossil horses he collected in Oregon were influential ammunition for Thomas Huxley during his visit to American collections in 1876, as material evidence for Darwin’s theory of evolution. The Condon Collection here at the University of Oregon has now been greatly expanded, most notably by Arnold Shotwell, and was ranked 13th in the nation in size and scientific importance by a 1977 NSF-sponsored survey. Work on fossil mammals continues to be a strength, with emphasis on small mammals and artiodactyls, as well as the study of fossil plants and soils. Fieldwork is currently active in Oregon, Nevada, California, Antarctica, Argentina, and Australia.